At an additional $50 fee, our full range of waste removal container services and more are available to the city of Noblesville! Check out what we can offer you. 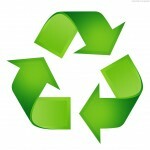 We make sure to do our part in keeping the company environmentally friendly, and we properly distribute each material for proper potential reuse opportunities. We have a list of materials that we can/cannot accept in our dumpsters, please take a look at them on the Frequently Asked Questions page. 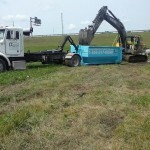 We offer sizes 10, 15, 20, 25, 30, and 40 cubic yard dumpsters. 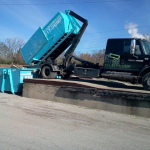 From a small spring garage cleanup to a full on remodel, Greenway Dumpsters will have the size of dumpster rental you’ll need for the project you’re focusing on today. If you have any questions about sizing options, don’t hesitate to call! 317-617-9464. Our basic rental period is 7 days. 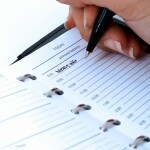 You can schedule your pickup and delivery online, and you can pick times that will work with your schedule. We’re all about convenience for the customers and we want you to be able to put all of your attention toward your next big idea, not worrying about hidden fees and hassles. 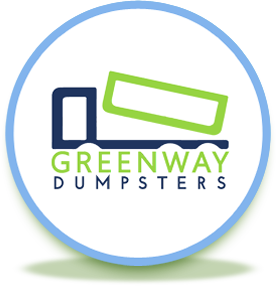 Greenway Dumpsters uses a unique hook-lift dumpster transportation system that prevents damage from occurring when placing the dumpster onto your property and removing it. It also allows for us to be able to reach tighter spaces and get the dumpster as close to your property as safely possible.